It’s been almost a week since I last blogged. Ugh. Had a batch of papers to grade, a test pattern mitten to finish, and then the Great Cowl Challenge to contend with. Got the papers done. yay. Got the mitten done. There was a slight mishap on the thumb. It’s an afterthought thumb. And unfortunately for me, it became an afterthought afterthought thumb. I was supposed to put in waste yarn for the thumb. When you finish the mitten, you take the waste yarn out, pick up the stitches and knit the thumb. I must have just been knitting merrily along oblivious to the fact that I needed a thumb. I was decreasing the top and was within a couple of rows of being finished when I think I tried my mitten on and realized my problem. So I frogged all the way back to where the thumb needed to go. Set it up and knitted back up again. I’m a dork. Last night, I told David that the Great Cowl Challenge was over. I was not going to be able to finish the cowl. I went to bed consoling myself that it was ok. This morning I woke up ready to try once more. I realized that because I had used larger needles than the pattern called for and since I knit kinda loose, that I didn’t have to do as many repeats of the pattern as I thought I would. So yay, it’s done. I can’t wait to take some pictures of it tomorrow. Here is an in process picture. Gosh, I love that red. Valentine’s Day and Koko’s birthday fall on the same day. She turned 16. We got her a cake and she was settling into a slice of it when we decided to take a picture of her. The flash went off and off she went. She hopped up the stairs and was gone. So we have no pictures of her and her cake. I did get some video though of us singing happy birthday to her. Thank goodness! 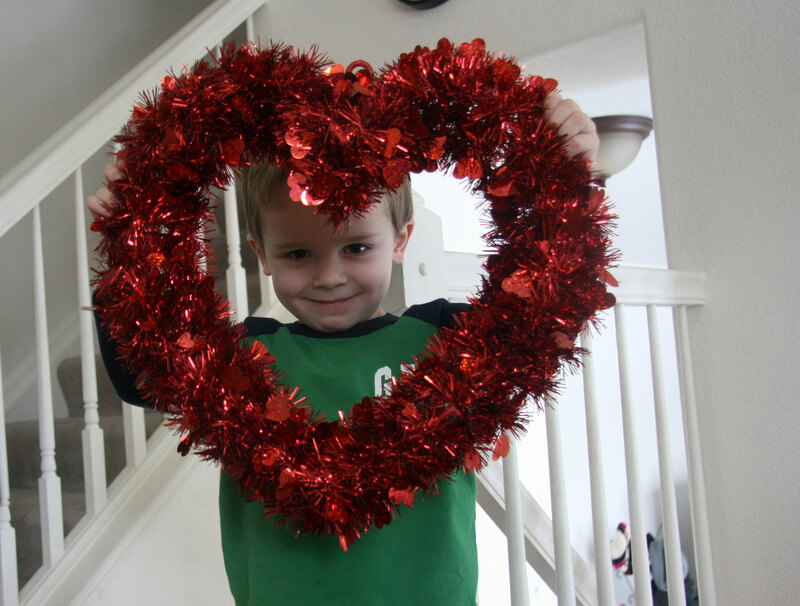 Davey loved Valentine’s Day. 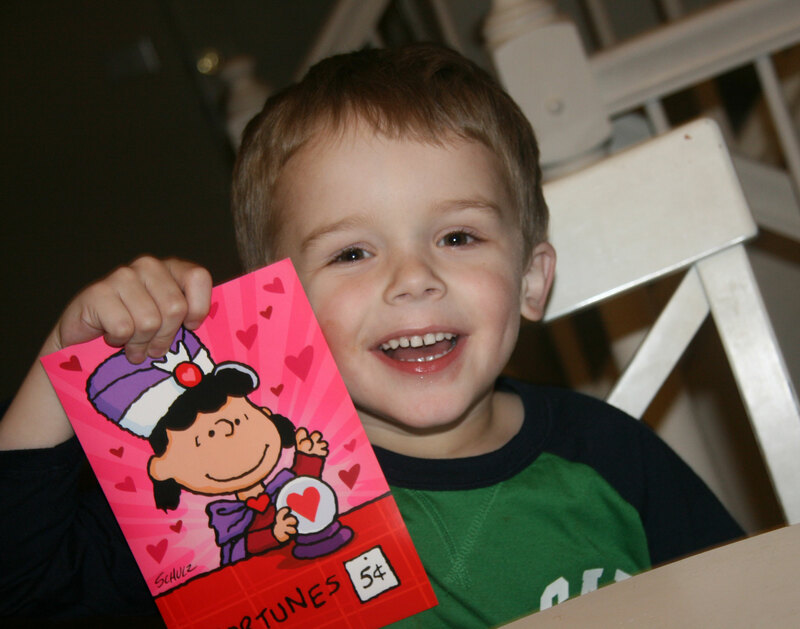 He loved his card, although in this picture he is holding up my card. He got a new Valentine’s pillow pet too which made him quite happy and then a package in the mail the next day which was icing on the Valentine’s cake! 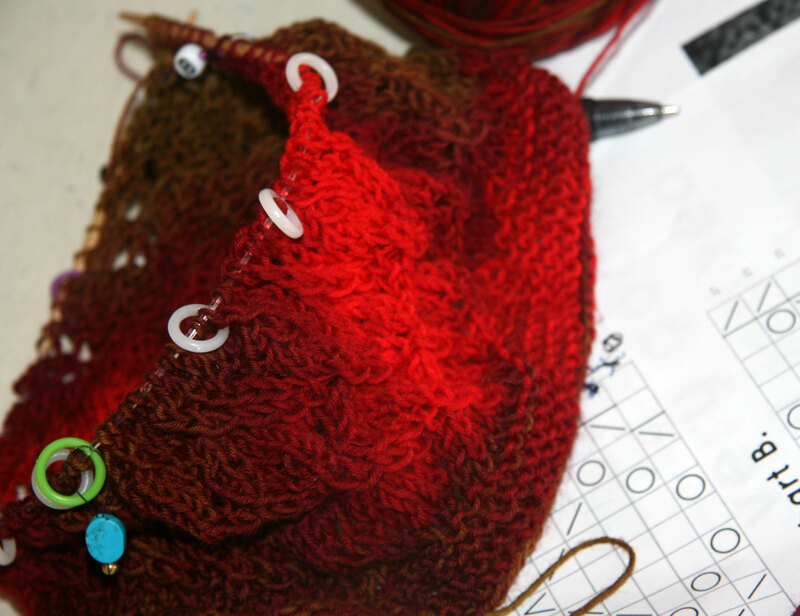 This entry was posted in Family, Knitting and tagged a very good cowl indeed, the great cowl challenge by cpeezers. Bookmark the permalink. I agree with you about how awesome that red is.